Those dying are not only on the street, there is a hidden epidemic in this opiate overdose crisis. Recently a friend of mine died from a fentanyl overdose. I’ll call him Gregory, he was 32, intelligent, employed, housed. Gregory died alone in his basement suite. He was a vibrant young man, with tremendous potential. The words written about him on his legacy facebook page are kind and tell a story of a man who was loved by many. Gregory struggled with addiction, and it was fentanyl that killed him. 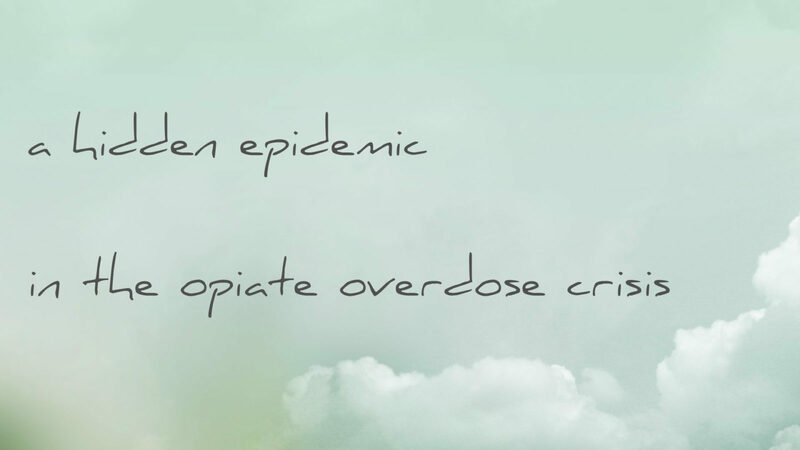 In January of 2018 the BC Chief Medical Health Officer released a report titled “The Hidden Epidemic the Opioid Overdose Emergency in Fraser Health“. The report delves into the statistics of those that are dying of opiate overdose. Sadly, my friend fit snugly into those statistics. He was male (85% of overdose deaths are men), between the ages of 30-39, and he died at home which is where 70% of overdoses occur and “which counters the common misconception that most overdoses are happening on the street to people who are homeless.” (FH CMHO report 2017 page 6). Those dying alone in houses are what we’re now referring to as the ‘hidden epidemic’. For a long time solutions have been sought for the more vulnerable members of the population, those without housing, unemployed, suffering from mental illness (often undiagnosed). Perhaps as a result of stigma and the way media reported on the crisis less attention has been given to those that use drugs in their homes. Knowing now the number of people who are ‘out of the pulic’s eye’ when it comes to their addictions and risk of overdose I’ve been asking myself how can we reach these people? How could I have been reached sooner? This question is not easily answered. In fact I’m part of a small group that is studying this very question. As a person with lived experience I’m sharing my story to help others like myself and to prevent deaths like Gregory’s. I too could have been a statistic of the hidden epidemic. Most of my addiction I was what some may term as ‘high functioning’, I kept a job, I had a vehicle and housing and generally enough money in the bank to support my habit (at least till the next pay cheque). I almost always used alone. I experienced a lot of relapse in my struggle with opiate addiction (primarily heroin). As a ‘functioning addict’ (for the most part) I was very secretive about my addiction, and ashamed of relapse. It wasn’t something I walked around talking about, and I made every effort to appear on the outside as though I had everything together. My facade was capable of fooling most people, even those closest to me were generally oblivious in the early stages of relapse. When things spiralled out of control and I was incapable of wearing the mask any longer I would inevitably have conversations where people would ask me questions like “what happened?”, “why did you relapse? (again! )”, “why didn’t you talk about it with anyone?”. For most of my earlier years in addiction I didn’t have answers to these questions – I was immature and lacking in self-awareness. However there was one thing people close to me often said and has nagged at me as I’ve pondered the question, how I may have been reached sooner? What people would say was often “I thought something was up with you”, or “I suspected you were using again”. If this was the case and people close to me were suspicious I’d had a relapse… why was it they never asked me? There are many factors that contributed to me stepping out of addiction and the crazy cycle of relapse, but for the sake of brevity in this post I will share the most significant contribution to me changing: The few individuals in my life who never gave up on me & loved me unconditionally. These very special people did not come at me with expecations and demands, rather they loved me compassionately where I was at. They chose to simply spend time with me or be available, regardless of if I took steps to change. I’ll never forget a very simple encounter over coffee with a friend when I was spiralling out of control – he asked if I wanted to take a step out and give him my drugs to dispose of. I had no interest in making a change that night, and said no. He didn’t ask again, and he didn’t change his demeanor, we just carried on our conversation. Surprisingly enough this moment really stuck with me, it showed me that his interest in my well being was genuine, but that his care for me went beyond me doing what he or others wanted me to do. I was completely disconnected, but these kind few offered me the only healthy connections I had at that time in my life. I intend to write a further article about the other factors that assisted in me leaving addiction behind so stay with me as I share more of my journey. I’m curious about your thoughts on the hidden epidemic – how can we reach these invidiuals that are hiding their drug use, using alone, and dramatically at risk for overdose due to our toxic drug supply?